People are sometimes surprised to hear me say chocolate can be good for you. Never mind the “everything in moderation” phrase, chocolate has actually been studied and proven to have health benefits. Music to my ears! Being a chocolate lover however, doesn’t mean eating my body weight in M&M’s, or chocolate bars. There’s a specific type of chocolate that does the body good. Cacoa seeds, or cocoa to be specific. These seeds come from, you guessed it, a cocoa tree. Their nutrient composition consists of 54% fat, 31% carb, 11% protein, 3% polyphenols, and <1% minerals. When the seeds have been fermented, roasted, and ground, they become cocoa powder. The same powder you’ve been cooking with and adding to make hot chocolate for many years. The power is a concentrated source of polyphenols, minerals (iron, magnesium, phosphorus, potassium, and copper), fiber (2g/Tablespoon), and a small amount of protein. 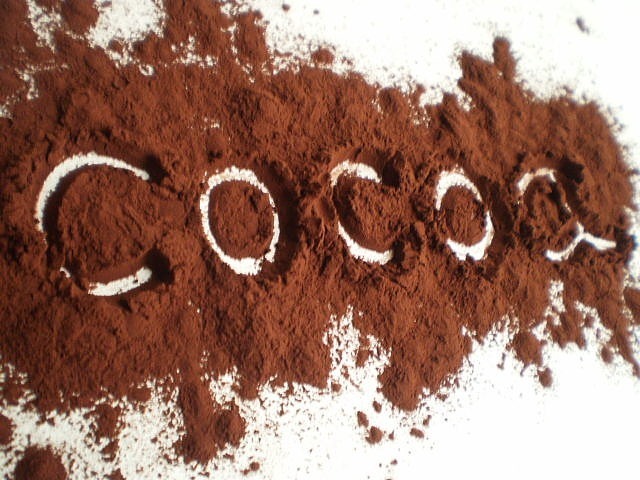 You can learn about the health benefits of cocoa powder HERE. This means dark chocolate and cocoa powder were the most concentrated source of these nutrients and antioxidants compared the same about of the other powders and juices. Of course, it’s still an “everything in moderation” approach, because chocolate does carry extra sugar and calories than say, blueberries. However, as long as you’re reaching for at least 70% cocoa in your dark chocolate bar, you’ll be getting maximum health benefits. 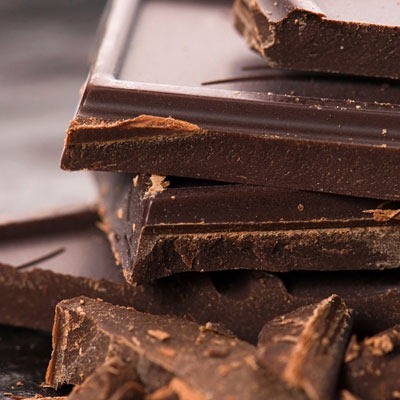 Select chocolate with at least 70% Cacao for health benefits. Skip the nougat, caramel and filling. These fillings just add sugar and fat. Savor the smell, feel and taste of each bite. It’s the quality, not the quantity of the experience. Posted on December 13, 2011, in Uncategorized and tagged antioxidants, chocolate, cocoa, flavanols, polyphenols. Bookmark the permalink. 5 Comments. Hello! I work as a dietitian with Attune Foods and would love to send you some cereal samples to try! I couldn’t find your email address anywhere – do you mind sending it to me so I can get more info from you? Thanks! You can send me information at: nutritiontogo411@gmail.com Looking forward to hearing from you!